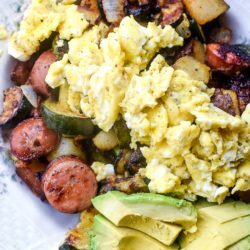 Chicken Sausage, Potato, & Zucchini Breakfast Hash – My favorite thing about this recipe is that I can whip this up in minutes on a busy day and it’s delicious. I have this meal a couple times every week! I love a good breakfast hash. And this one, well it’s my favorite. I first fell in love with it when I did my first Whole30 (so yes, it is Whole30 approved) and it’s been a breakfast/brunch staple around here ever since. It’s one of those dishes that not only taste good, but I feel good after eating it. So much in fact that I eat these a few times a week. It’s seriously my favorite ‘first meal of the day’. I try so hard to eat early because I get up super early every morning. But no matter what, I’m just not hungry til around 11am and if I try to eat before then, I feel super icky. One of my friends told me that was actually called intermittent fasting and that a lot of folks used it to maintain or lose weight. I had no idea because I certainly don’t do it for that reason. I just don’t feel hungry! If I did, I’d definitely eat. Now coffee? Yeah, that’s a whole ‘nother thing. I can’t go without my coffee. 2 cups every morning or you do not wanna talk to me! Every weekend, I bake a few potatoes in the oven and pop them in the fridge to make my meals a little easier that week. Sometimes I reheat them with my lunch but more times than not, I use them for my breakfast hash so that I can whip it up quickly on a busy morning without having to wait forever for the potatoes to cook. Just dice them up & give them a quick browning in the skillet in a little olive oil or butter and you’re good to go. 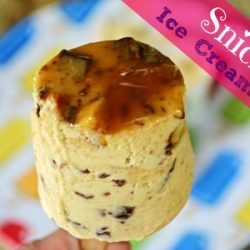 You could also do this with sweet potatoes. I slice the chicken sausage into rounds & it cooks up in a hot skillet in the same amount of time that my potatoes cook, so I usually just cook them in the same pan. I also add zucchini & onions. You can dice them small & cook them at the same time as your potatoes & sausage (like I do) or you can precook them that weekend and just warm them up at the end of the potatoes/sausage cooking. Just fry up or scramble up a couple eggs& slice an avocado (unless you don’t like avocados then by all means, leave it out!) and breakfast/brunch is done. 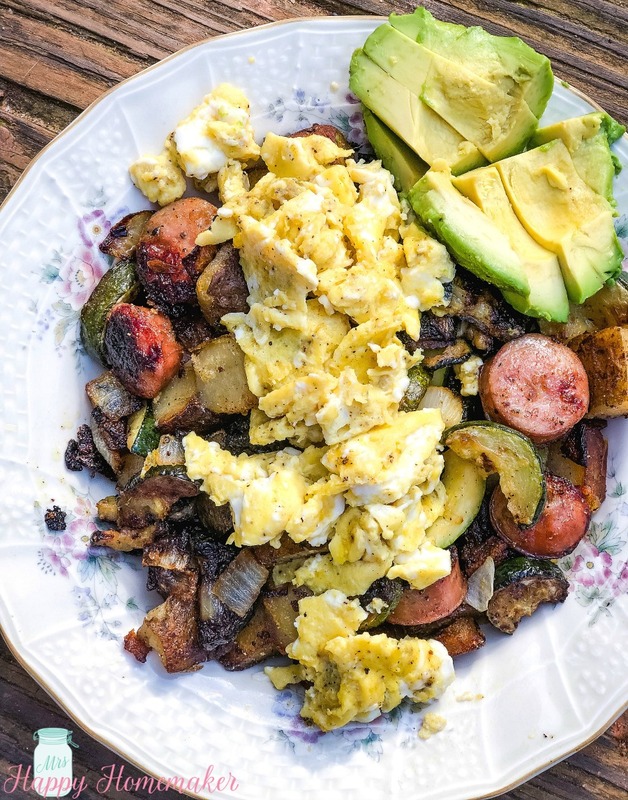 I use a mix of potato, zucchini, onion, & eggs – but you can use any combination you like. Feel free to play around with this recipe and swap out the veggies for others. Try spinach, kale, sweet potatoes, brussel sprouts, roasted tomatoes, etc. 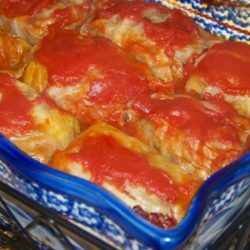 You can also switch out the chicken sausage for your favorite breakfast sausage, bacon, or even steak. 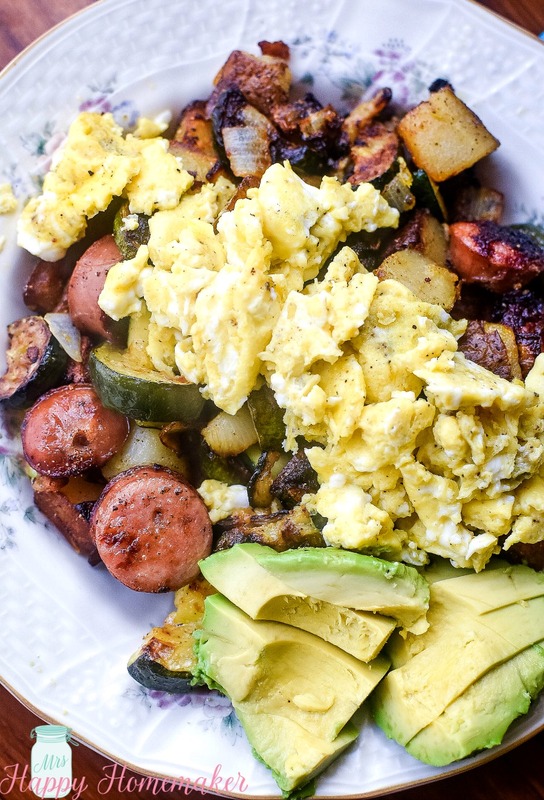 Play around with it and have fun creating your own ‘favorite’ breakfast hash! One try, and you’ll see why it’s one of my favorites! Add the olive oil (or other cooking fat) to your skillet. Add the potatoes, chicken sausage, onion, & zucchini. Cook until they reach the level doneness that you like, making sure to flip the chicken sausage while it’s cooking. If you’re using fresh garlic, grate a clove or two over (or add minced garlic) over the hash during the last minute of cooking. Season to taste with salt and pepper. Using a slotted spoon, transfer the breakfast hash to a plate covered with a paper towel to drain. I use the same skillet to cook my eggs, but you can use a different one if that freaks you out. I’m all about less dishes though! Fry a couple of eggs or scramble them. Season to taste with salt and pepper. Serve the eggs over the potato/veggie mixture. Feel free to play around with this recipe and swap out the veggies for others. Try spinach, kale, sweet potatoes, brussel sprouts, roasted tomatoes, etc. 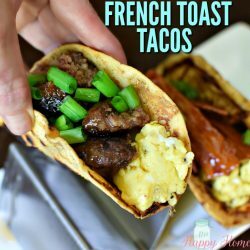 You can also switch out the chicken sausage for your favorite breakfast sausage, bacon, or even steak. 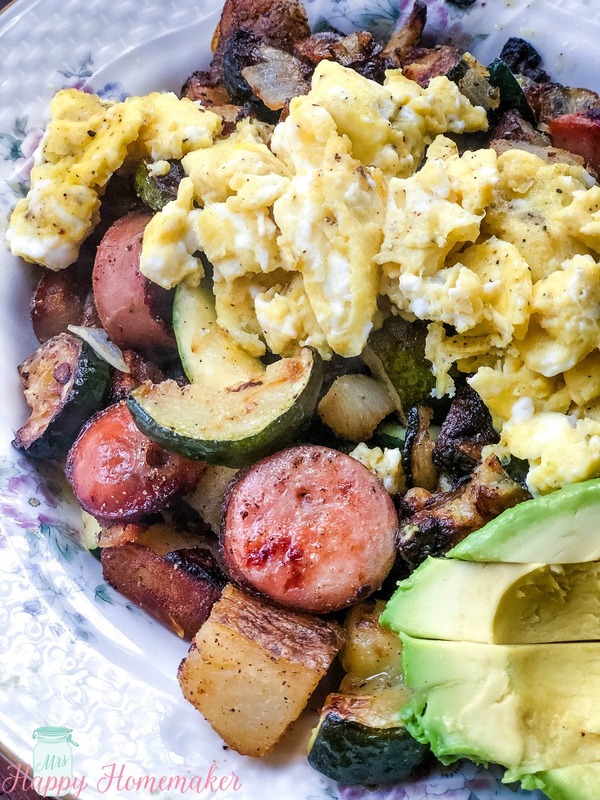 Play around with it and have fun creating your own ‘favorite’ breakfast hash!